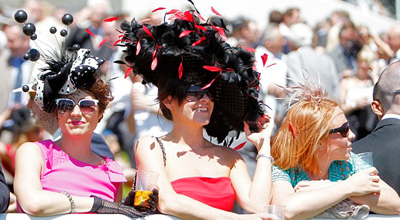 Royal Ascot will be here before you know it ….seriously Ladies if your looking forward to 2oth June – you need to start planning now. We over 1o years of providing first class affordable Royal Ascot Limo Hire services, we have created cost effective Royal Ascot Limo Hire Packages – to suit all budgets. It all starts with a free call to 0800 002 9475 – where friendly staff are ready to assist you in booking your personal Royal Ascot Limousine Hire services in the Limo of your choice. We have immaculate H2 Hummers in Pink, White and Black – carrying 16 passengers in vip comfort, the Party Bus Limousine & our White Phantom Car Limos – all providing excellent VIP transportation services that won't break the bank!